Are you craving a tasty snack with fresh, simple ingredients? 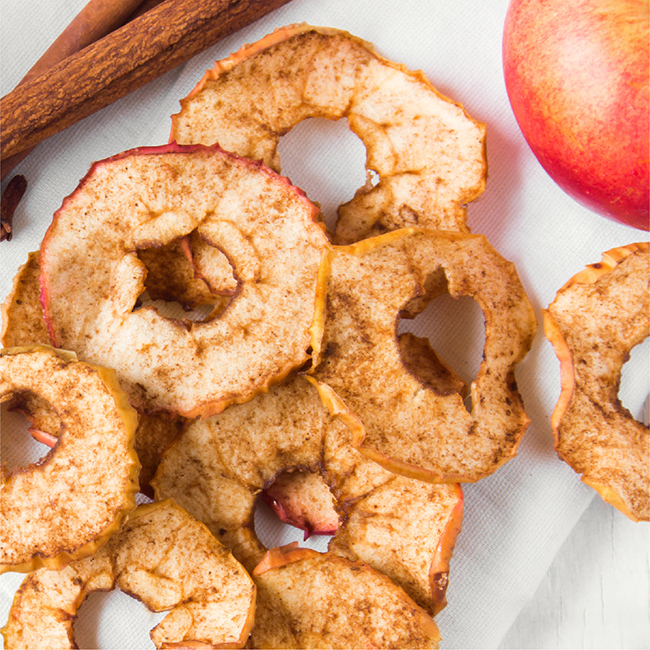 These cinnamon-apple chips are the perfect solution! With only three ingredients, this treat shows that healthy recipes don’t have to be a chore. Make a batch to share or add them to your stash of healthy snacks! When you’re stocked with healthy food options, you’re better prepared to stay committed to a balanced lifestyle—without sacrificing flavor! Use Thieves Fruit & Veggie Spray to clean the fruit. What is your favorite healthy snack? You can share in the comments with us. I would love to share more with you about our quality line of essential oils labeled for use in your favorite recipes. You can learn more on my website www.essentialoilswithlucie.com and contact me with any questions.